Slapping the roof, closing the deal, enjoying the commission. You need to land the job. And we’re not talking about pushing clunkers. How to get car salesman jobs like that? For starters, a perfect car sales resume would be so damn clutch. A car salesman resume better than 9 out of 10 other resumes. How to write a car salesman resume that will land you more interviews. Tips and examples of how to put skills and achievements on a car sales representative resume. How to prepare a car salesman job description section on a resume to get any job you want. Here’s a car salesman resume example made with our online resume builder. Sample Car Salesman Resume - See more templates and create your resume here. What’s the Best Format for a Car Salesman Resume? You need to gain traction with the recruiter from the start. Go for the reverse-chronological resume format. Your achievements will stand out like a yellow 1970 Lamborghini Miura. Plus, your resume will come across as neat, organized, and approachable. Just like a good car salesman should. If you’re a career changer you might also want to give a thought to a combination resume. Use white space to your advantage—do not cram too much information. 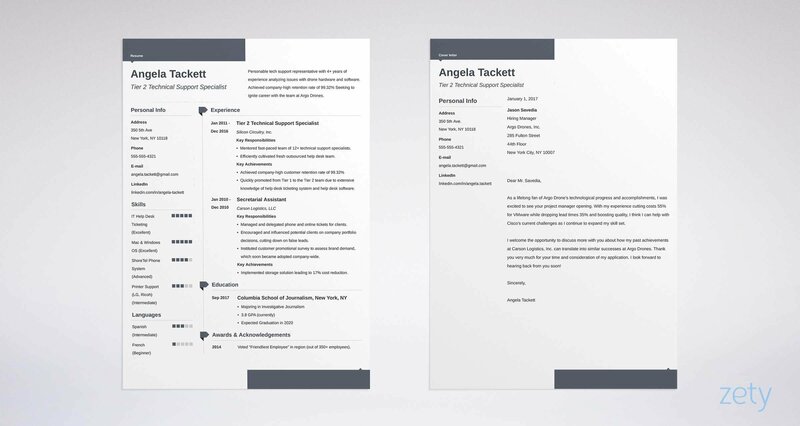 Go for a resume-friendly font. Export your auto sales resume to a PDF file. This format is like a Toyota Hilux for documents—simply indestructible. It would literally take a wrecking ball to put it out of shape. Now, let’s move on to the first section of your resume. Fuzzy about the format your car salesman resume should stick to? Here’s a quick read: Best Resume Format: Which to Choose? Car Salesman Resume Summary or Resume Objective? You don’t get a second chance to make the first impression on the recruiter. You need to stand out from the crowd of 299+ hopefuls. By writing a killer resume objective or summary. Adding a car salesman resume objective or summary is like revving up a Mustang Shelby GT 500. It heralds pure power that no one dares to ignore! Before getting down to writing a resume objective or summary, you need to know the difference between the two. A car salesman resume objective consists of 2 or 3 sentences proving you’re a good fit. It works best for those with limited experience. A car salesman resume summary, well, it summarizes your work experience that matches the position. Outgoing and enthusiastic sales associate with 1+ year experience, wishing to join Harvey Automotive team. Seeks to leverage his extensive knowledge of the automotive industry, superb customer service, and communication skills. Passionate off-road racer—3-time participant in Badlands Jeep Jamboree. Seeks a position of a car salesman. Loves cars, and motorsports. Outgoing and friendly. Great communication skills. The first candidate knows exactly how to market themselves. Their communication skills are clearly visible. They do a fantastic job showing their character traits, blending in experience, and showing the benefit for the company. The other candidate, well, he clearly wanted to cut some corners. The result? A bland, generic objective that doesn’t mean much to the employer. Goal-oriented car sales manager with 10+ years of experience. Seeking to boost Harvey Automotive’s KPIs through building a strong fleet sales department. At Sonic Automotive, established long-term relationships with 20+ corporate clients and exceeded sales goals by up to 30%. Experienced car sales manager, wishing to boost sales. Great communication skills. And back to the right one. Sadly, the wrong example has nothing to look at. You don’t want to be the candidate with nothing to show. The hiring manager wasn’t able to ignore the sound of your engine revving up. It’s time to take them for a test drive. You’re about to learn how to make your car salesman job description hit like a twin turbo engine. First, look at the available car salesman jobs. Pick a job opening that matches your experience level and qualifications. The yellow highlights show you the car salesman requirements for this particular position. These are the skills you need to demonstrate. If your experience fits the car salesman job description, describe it using the job posting as a guide. Assisted a monthly average of 100+ customers in selecting vehicles to match their budget and expectations. Offered thorough explanations regarding 30+ vehicles’ performance, and benefits. Built strong rapport with customers—earned 30% returning customers. Organized 3 outside events promoting the dealership. Delivered high-quality, professional presentations. To nail your car salesman resume job description you must answer a specific job ad. You know everything about ABS, TCS, and ASR. But have you heard of ATS? An ATS (Applicant Tracking System) helps recruiters sift through hundreds of resumes that flood their inboxes. The system looks for specific words in candidates’ resumes to make an initial selection for the recruiter. If you want to go past that stage, automotive sales resumes must contain the words ATS is looking for. You’ve just learned it. Use the original job posting as a guide, and describe your experience accordingly. Go for resume action words and highlight your car salesman skills. Focus on your achievements, not responsibilities. Show how well you’re able to perform car salesman duties. Put numbers wherever you can. Numbers speak louder than words. Wax your car salesman resume job description by adding a separate key achievements section. Offered thorough explanations regarding 30+ vehicles’ performance, application, and benefits. Named “Best Salesman” for 14 consecutive months. Show your worth, and convince the hiring manager you’re the car salesman they need. Responsible for telling customers about the features of cars. Responsible for contacts with customers and sales. Responsible for presentations to customers. With the car salesperson resume job description like that, expect to be as successful as Pontiac Aztec. Always adapt your car salesman resume job description to a specific posting. 1. Previous gigs and projects. Did you have a summertime job? Maybe you worked as a waiter? Shop assistant? Distributed leaflets? Or maybe you delivered a presentation in front of live audience? Look at your past projects and put them on your car salesman resume. 2. No experience? Go and get some. If you have absolutely no previous car sales experience, well, you need to get some. Look for opportunities to build up your people skills. Show some initiative! Are you a walking automobile catalog? A fan of a particular automaker? Passionate people’s enthusiasm can be truly infectious. And in combination with good car salesman skills (which you can learn) you can turn into a car selling machine! Your natural talents and interests can boost your chances of landing the job. Now let’s look under your figurative hood. Would you bet $50,000 on a Nascar driver, just because he told you he’s so freakin’ good? It’s equally unlikely for a hiring manager to employ you just because you put your car salesman skills on a bullet point list. The difference is you haven’t simply listed your skills as bullet points. You’ve cleverly mixed them in your car salesman job description, and backed them with numbers to prove how good you are. Now, if you want to give your car salesman skills more prominence on your resume, you can additionally list them in a separate key skills section. You may also want to create an additional skills resume section, and list other relevant salesperson skills there. It’s always a good idea to scatter your skills around your car salesman resume. The experience section of your car sales resume is a perfect place to prove your sales skills by offering numbers. Use a separate key skills section to reinforce the skills you take most pride in. Create an additional skills section to highlight your other sales skills related to the position. Not sure how to do that? Take a good look at the sample car salesman resume at the beginning of the guide. The Bureau of Labor Statistics, says a car salesman will typically receive on-the-job training. But if you want to be the candidate in pole position, use the education section of your car salesman resume to your advantage. Don’t just drop the name of the school you finished. Add information about coursework or activities relevant to car salesman jobs. Add extracurricular activities and coursework that set you apart from the other candidates. Pro Tip: Only list your GPA if it’s as close to a 4.0 as possible and you’re fresh out of school. Once you get experience, listing your grades is a no-no. How About a Cover Letter for Car Sales Positions? A cover letter feels like a 2-stroke engine. Not only can they double your chances of landing a job, but let you demonstrate your communication skills in practice. So treat your car salesman cover letter with all the care and attention it calls for. Fill in the blanks you may have left on your car salesman resume. Head straight to our complete guide on how to write a perfect cover letter in 8 simple steps. Crafting your car dealer resume isn’t just about listing responsibilities and saying you worked at a car dealership. Start with a strong resume objective or summary. Pay attention to the format. It must be scannable, eye-catching, and look professional. Are you writing a resume for a car sales position for the first time? Or perhaps you’re a seasoned car sales pro eager to help the rookies out? We’d love to hear from you, leave your comment below!